The Defence Academy of the United Kingdom (DA) is responsible for postgraduate education and the majority of command, staff, leadership, defence management, acquisition and technology training for members of the UK Armed Forces and MOD Civil Servants. It is also the MOD’s main link with UK universities and international military educational institutions. 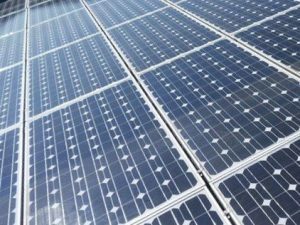 The defence estates department of the Ministry of Defence (MOD) is set to make, where possible, sustainable energy generation / solar power installations mandatory for large buildings. The MOD and MITIE approached Hercules Scaffolding Limited to provide the scaffolding for extensive roof works and the installation of very large solar panel arrays on The Defence Academy based at Shrivenham, with the aim of achieving significant energy savings. Hercules Scaffolding had previously worked with the MOD on 2 previous projects and they were aware of our security methodology, competence, project management and attention to detail that Hercules were able to deliver on this high-profile project. 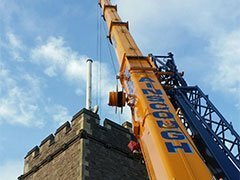 This was a large scale, high profile project that involved the installation of a considerable quantity of access scaffolding. Total Length of Scaffolding Around The Buildings: 560LM x 11m height. Total: 6,160 SQM. Maintain Continuity Supply of Materials & Labour To The MOD Academy via a Strict Security Regime. To Meet All The Key Performance Targets (KPTs) As Set By The Ministry of Defence. Before the works began, we held a pre-contract meeting with the MOD and MITIE to ensure that the scope of the project was fully detailed and understood. Prior to commencing and going on to site, we carried out our own internal pre-start meeting to fully brief all teams as well as review method statements, risk assessments, and the schedule of works. We drew up a CAD Engineer Drawing with a detailed specification and design with all necessary loading and anchoring detail to TG20:13. MOD, MITIE and Hercules project directors signed off the methodology / RAMS / SSOW so that all operatives and stakeholders fully understood the processes involved. Supervised by Gold Card Supervisors / SMSTS throughout. The 2 buildings, totalling 6,160 SQM of scaffolding was presented to the main contactor for the M&E solar engineers to complete the solar array installations to the roofs. Hercules’ experience in similar high security and high value scaffolding installation contracting enabled the MOD and MITIE to complete the programme on time. Hercules Scaffolding were thanked by the client post completion for achieving all the Key Performance Targets (KPTs). Hercules team’s experience meant that we understood the client’s requirements and had the skills and capabilities to deliver the project on time and to a very high standard. The barrier is closed under storm surge conditions to protect London from flooding from the sea. It may also be closed during periods of high flow over Teddington Weir to reduce the risk of river flooding in some areas of west London including Richmond & Twickenham. It has been operational since 1984. When needed, it is closed (raised) during high tide; at low tide it can be opened to restore the river’s flow towards the sea. Built approximately 3km (1.9mi) due east of the Isle of Dogs, its’ northern bank is in Silvertown in the London Borough of Newham and its’ souther bank is in the New Charlton area of the Royal Borough of Greenwich. The Thames Barrier has been closed approximately 185 times since it became operational in 1982. The Environment Agency & VolkerLaser approached Hercules Scaffolding Limited to provide the scaffolding for its’ maintenance roll out programme. VolkerLaser, VolkerFitzpatrick & VolkerWessells had previously worked with Hercules Scaffolding on Edmonton Power Station and were aware of the competence, project management & infrastructure Hercules were able to deliver on this sensitive project. 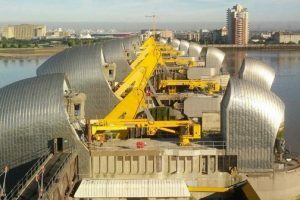 Provide Scaffolding Access For The Thames Barrier For The Planned Maintenance Roll-Out Programme. To Include Scaffolding Installations Near To / Over Very Sensitive Operational Machinery. To Provide Encapsulation To The Mechanical Equipment To Prevent Any Dust Contamination. Special Measures For Controlling Dust During The Works. Monarflex Encapsulation To Scaffolding To Contain & Protect Areas Of Works. Hercules’ experience in major & sensitive scaffolding installation contracting enabled VolkerLaser to complete the maintenance programme on time. Hercules team’s experience meant that we understood the client’s requirements and had the skills and capabilities to deliver the project on time and to a very high standard. British Gas approached Hercules Scaffolding Limited to implement the scaffolding roll out programme for its’ domestic & commercial customers. Hercules, operating with Hercules Link-Up, offered a truly national distribution network with the infrastructure to deliver a consistently high quality service nationwide. 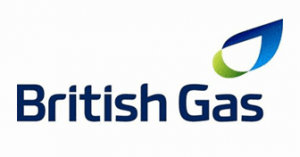 Provide Telephony Capabilities For Incoming / Outgoing Calls / Liaison With British Gas & its’ customers. To meet government guidelines, the roll-out programme needed to be completed within the agreed time frame & before FiT change date. 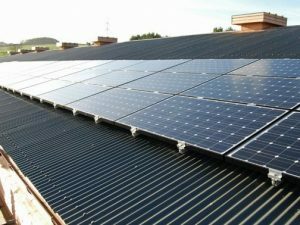 Site surveys, photographs & solar panel installation details needed to be supplied on a nationwide basis at short notice. Scope out works with British Gas staff to ensure the brief was fully understood & effectively delivered. Liaison with British Gas & Electrical Contractors to ensure the correct scaffolding specification for each building delivered correctly. Agree methodology of installation & Hercules Golden Rules. Liaison with homeowners and others stakeholders to keep all informed throughout the process and to ensure minimum disruption was caused. Disseminate methodology to Hercules Network to ensure the consistency of delivery. Supervised by Gold Card Supervisors / SMSTS throughout. The project was a huge success, 5000 homes were installed over a 6-month period leading up to a FiT alteration date. Hercules’ experience in major national scaffolding roll-out contracting enabled British Gas to confidently pass the responsibility over to Hercules for the duration of the programme. Upwards of 35 installs were being delivered per day, approximately 175 per week over the entire UK. Hercules customer project coordinators and planners made approximately 1000 calls per day to ensure the scaffolding was delivered, installed & dismantled to plan. Following the roll-out programme, Hercules were awarded by British Gas to provide the scaffolding services for their new Buildings Research Establishment (BRE) Innovation Centre in Watford. 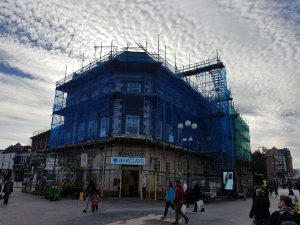 AffinityFM, a leading provider of high quality Facilities Management & construction services for public and private clients, appointed Hercules Scaffolding as the scaffolding access contractor for the Barclays Bank refurbishment roll out programme, including one of its’ flag ship branches – Kingston Upon Thames. The external refurbishment included access for all trades including major roof works. Scaffold alarms, CCTV & Monitoring. 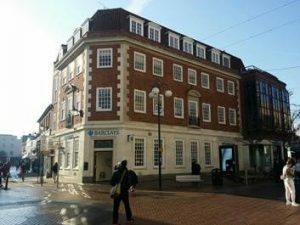 Firstly, the Kingston Upon Thames branch is situated in a very busy pedestrianised area with one of the highest footfalls in the UK. The large 4 storey building has 4 elevations; 3 elevations facing busy pedestrianised areas & adjoining retailers. In addition, the bank remained open and fully operational during the works. Secondly, 2 elevations of the bank were predominantly glazed, requiring bespoke anchoring detail. As additional works were required during the programme, the scaffold would also need to be adapted to suit. Scaffold Design Engineer drawings with full calculations were provided. Safety pedestrian fans & crash decks over cash point machines & entrances. Liaison with Royal Borough of Kingston Upon Thames Council re Traffic Management & licensing. Liaison with Royal Borough of Kingston Upon Thames Council re: Traffic Management & Licensing. Out of hours working & exclusion zones to eliminate the risk of working above pedestrians. Emergency escape routes from roof via installed Haki staircases. Hercules’ experience in major scaffolding contracting meant that we understood the clients requirements and had the skills and attitude to deliver the project on time and to a very high standard. There was minimal disruption to pedestrians, bank customers & the adjoining retailers. Following the installation, the Hercules team fully commissioned the installation and provided the client with Handing Over Certificates & 7 day inspections. During the installation, refurbishment & dismantle the Bank remained in operation. The project was delivered 2 weeks ahead of schedule and within budget. KIERS, a national construction services provider, appointed Hercules Scaffolding as the main scaffolding contractor to provide the access for major refurbishment to the exterior of the high level steels and signage. 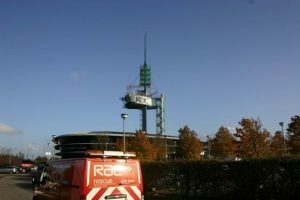 The RAC building is hard to miss – sitting at the junction of the M4 and M5 motorways, just outside Bristol. Designed by Grimshaw Architects, it is an impressive, energy efficient, technologically advanced headquarter building, standing 120m at its’ highest point. Scaffolding to provide access for major steel works refurbishment & access to upgrade signage. Provide Structural Engineer surveys & Scaffold Design Engineer drawings & full loading calculations. Access to mezzanine floor control centre. Access equipment to high level steels & signage via use of industrial hoist. Install working platforms to all areas for high level works. 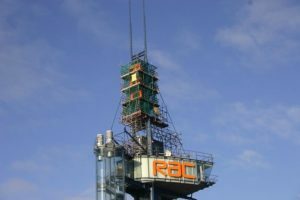 The RAC Control centre is a very complicated structure to access with scaffolding due to its’ intricate architecture and height. The Control Centre remained open and fully operational during the works. The high level works would need to be installed directly above a glass panoramic roof, covering the main refectory & meeting rooms. Provide a lifting solution to lift the access equipment to high level steels & signage. Working at 120m height. With winter approaching, the installation, refurbishment & dismantle had to be completed on time. Metricab Power Engineering Ltd, a leading provider of M&E Facilities Management services for public and private clients, appointed Hercules Scaffolding as the scaffolding contractor for the new Renal Unit fit out at Hammersmith Hospital. Hercules had previously provided the scaffolding access support for Metricab at the Royal Marsden Hospital. The external & internal fit out for the new Renal Unit. Heavy duty loading bay for lifting new hospital renal unit equipment into position. A particularly sensitive area of the hospital that remained fully operational during the works. – Various access issues over existing high level buildings. Scope out works with Metricab & Hammersmith. Hospital staff to ensure the brief was effectively executed. Scaffold Design Engineer drawings with full calculations were provided. Screen off working areas to create acoustic & dust free working zones. Out of hours working & exclusion zones to eliminate the risk of working above general public. Restricted delivery times and H&S to ensure there was no disruption and no traffic congestion caused. 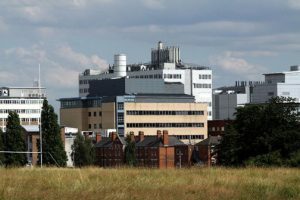 Hercules had already worked on previous NHS, BUPA & Healthcare projects including Hammersmith Hospital, London Free Hospital & Royal Marsden Hospital and were able to work to a proven methodology. Experience in major scaffolding contracting meant that we understood the client’s requirements well and had the skills and attitude to deliver the project on time and to a very high standard. There was zero disruption to patients, staff & adjoining departments. Following the installation, the Hercules team fully commissioned the scaffolding & loading bays and provided the client with Handing Over Certificates & 7 Day Inspections. During the installation, refurbishment & dismantle the existing department remained in operation. The project was delivered ahead of schedule and within budget. SITEC Infrastructure Services Ltd, is a dynamic, delivery-focused project management company providing end to end solutions for the UK’s mobile and fixed line network operators. 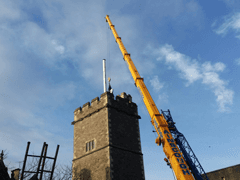 SITEC appointed Hercules Scaffolding as the scaffolding contractor for the new Hutchinson Telecoms mast change at Project X.
Hercules has previously worked on many high profile telecoms projects including on listed buildings & skyscraper buildings requiring cranage of materials. Internal scaffold structures required to 2 no. plant rooms. To include 1 no. confined-space access scaffold situated within a plant room at a 40M level within the listed building roof. Scaffolding access required for new cable tray runs. 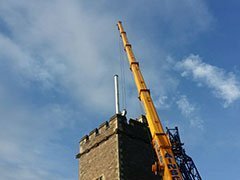 48 Tonne crane required to access equipment to the top of the tower. Very difficult internal access for equipment due to the age & design of the building. Scope out works with SITEC Infrastructure Services Ltd staff to ensure the brief was understood & effectively executed. SITEC Infrastructure Services provided Engineer drawings. Provide bespoke RAMS / SSOW / Methodology for discussion & approval before works commence. Restricted delivery times & H&S to ensure there was no disruption and no traffic congestion caused. Hercules has built up a reputation over many years for telecoms access solutions & were able to work to a proven methodology. The internal scaffolding & access was particularly difficult, having to negotiate steep spiral staircases with bespoke equipment. There was zero disruption to the complex, its’ staff or any of the adjoining departments. Following the installation, the Hercules team fully commissioned the scaffolding and provided Handing Over Certificates & 7 day Inspections. The project was delivered on time & exactly to schedule and within budget.